Cilantro is a very sweet and affectionate cat. She loves being pet and having her head scratched. Cilantro also loves to play and chase around feather wands, and your pens of course! She is vocal when she wants your attention and is also only a lap cat when she wants your attention as well. 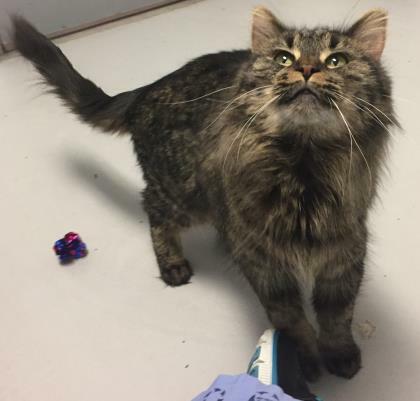 Cilantro is a loving cat who can’t wait to find her furever home!